Today I was excited to hear that my guest post " Near-Death Experience Fuels Quest for Immortality: An Artist's Story " is published at the Udemy.com/blog . As you know, I have recently launched into an exciting new venture with Udemy.com, one of the world's most dynamic and successful online academies of higher learning. Just before Christmas 2012 I was recruited by one of their sleuth-y staff members who apparently has common connections on the LinkedIn network with moi. I decided to take it on as a serious 'project' at that time and after some technical upgrades I have succeeded in creating my first course "Art of Acrylic Glazing with a Modern Master" . You know, it was a very useful and self-instructive exercise, as it meant I was obliged to set things down in a very logical, systematic way so my students will have a great experience with my 12-step painting curriculum. The course is set out in easy to digest bite-sized pieces that take you all the way from a blank canvas to a finished painting, without the use of black! 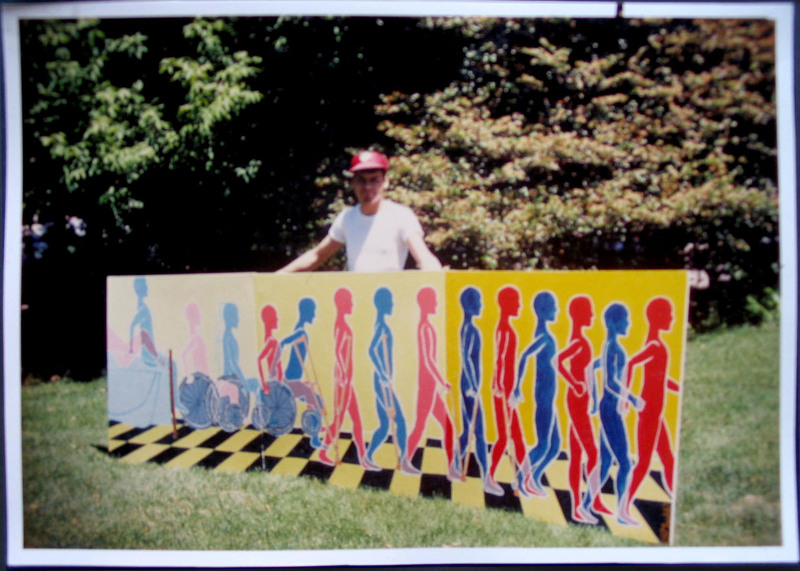 'Recovery I' was designed and painted while a dialysis patient in 1979 at Sunnybrooke Medical Center in Toronto. I was excited to see my post Near-Death Experience Fuels Quest for Immortality: An Artist's Story in today's Udemy Blog! I was challenged to write a post that would surprise, delight and even intrigue my readers and this is the theme I came up with. Didn't somebody once say "Write about what you know"? Sometimes in the hustle and bustle of a busy life one forgets the accomplishments that really mean something, have an impact in the grand scheme of things. I decided to settle in to composing this story that has been tumbling around in my mind now for over 30 years. After all, if I don't tell the story, who ever will? And I think it's a good story...that I hope will inspire people who are going through a rough patch of their own to persevere, even if things look grim at the moment.